Many years ago while I was still in high school I was at a friend's house playing some computer games, I believe Warcraft 2, and as my friends and I were leaving I passed his dad's den and he had a table set up with a big hex grid space map that had Captain Kirk's TOS Enterprise surrounded by two Klingon D-7s. 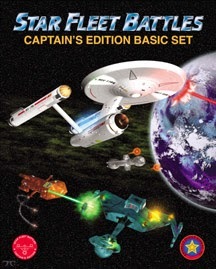 I love Star Trek and didn't know anything about the game that was setup so I asked what it was and if we could play and was told it was called Star Fleet Battles but it was too complicated to teach. We were playing a bunch of different games back then so I let it go but my interest in the game never left. For those of you who don't know Star Fleet Battles is a game designed by Stephen V. Cole in 1979. The game is a starship combat game based on the original Star Trek TV show. 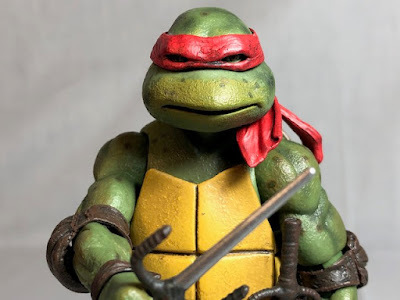 The company was able to get a license for the game from Paramount that includes everything released before the movies came out except for the name Enterprise and the main characters names. The license doesn't cover anything released after the movies also so no refit Enterprise, no Klingons with forehead ridges and no TNG, DS9, Voyager or Enterprise. Once the Star Trek Universe started to diverge with all the above-mentioned shows the game started it's own continuity called the Star Fleet Universe. The universe contains hundreds of years of history including the General War which is the main basis for Federation Commander as well as some made up aliens that were never on any of the TV shows. Since the Star Fleet Universe has been helmed by Mr. Cole since day one it has much more continuity and makes more sense than the Star Trek Universe. While Star Fleet Battles is still popular and played many people like myself were intimidated by the game so Mr. Cole decided to designed a sleeker version. In 2005 the new game was released called Federation Commander. It was said to be nearly the same game with just a few tweaks to make the game much easier to learn and play. Now to this day, I've never played Star Fleet Battles but I couldn't care less because I fell in love with Federation Commander. This is the SSD for the Federation Heavy Cruiser (CA), aka the Enterprise. This ship is from the First Mission free rule set off the Federation Commander website. We'll be using this to explain the game. The game revolves around your ship's power. At the start of each turn, you count up how much power your engines make and that gives you the amount of power you can use for the turn. Since we are starting a game the ship is undamaged so it generates full power. All the light blue boxes are engines so if you count them up you will get 19 power. This ship also has two batteries, the way they work is if you have leftover power at the end of your turn you can put as much power into your batteries as are available. Well, say that you have both batteries filled before the game so the engines plus batteries give you 21 power. Now, this will sound complicated but in practice, it's very easy. Each turn has eight impulses and each impulse has four sub-pulses. As an example say my ship is moving at speed 8 which costs 4 energy. I would move my ship during sub-pulse 4 of each impulse. I can also pay energy to accelerate or slow down during each impulse. It may sound complicated but the information is laid out in very easy to understand charts and after playing through a few turns it really becomes second nature. Once your ship is moving you'll want to move left and right so you get two options. As you can see on the SSD with the ship moving at speed 8 I get a turn mode of 2 which means I have to go two hexes forward before I can turn left or right. Once I turn I must move 2 more hexes forward before I can turn again. Since a hex map is a bit limiting you also allowed to make a move called a sideslip. What that means is instead of moving forward one hex you move forward to one adjacent hex while you keep your ship in the same direction. You must move forward one hex before you can sideslip. So your ship is moving toward your enemy so now it's time for weapons. There are a few different kinds of weapons, we'll talk about the basic kinds. Phasers and disrupters are direct fire weapons if your weapon isn't damaged you pay the cost for it and measure the distance between your ship and your enemies. Next, roll a dice and consult the chart to see the damage you've done. The closer you are the better the damage. Photon Torpedoes and plasma weapons need to take extra turns and energy to charge, the photons are direct fire like phasers but when the plasma is launched it chases after your enemy, the longer it's out the less damage it does. The last type of weapon in the basic sets are drones which are missiles, you launch them and they chase your enemy like plasma weapons except they do a set amount of damage. Both drones and plasma weapons have a set amount of turns to travel before they are lost. You fire your weapons at the end of each impulse. Of course, later expansions have new weapons that work differently but these are the weapons that most of the ships from TV shows have. Each ship has 6 shields and depending on your facing and your enemies facing determine which shield weapons impact upon. When your ship receives damage you lose a shield box for each point of damage. If you have energy not spent you can cancel out one damage for one energy for each working battery you have. So on the Heavy Cruiser, you could cancel two boxes of damage per volley as long as you have the energy for it. If after using your batteries you still receive more than 10 damage in one volley you will take one damage of internal damage. Your shields will receive 9 damage and one to the internals. If your shields fail or you take damage from burn through you roll on the damage chart and cross out the boxes on your SSD that corresponds to the damage chart for until all the damage your received is dealt with. At the end of each turn is when you deal with the damage. The Federation Heavy Cruiser has damage control of 2 and each damaged box has a different point cost to repair. If you were to have a phaser damaged it would cost 4 points to repair so on your first turn you would spend 2 points and on your second turn you would spend 2 more to finish repair, that phaser would be ready to use on your next turn. You can not bank unused repair points. If you buy the full game you will be to do lots more than I've listed. A few examples are transporting troops to attack an enemies ship once their shields drop, launching shuttles full of explosives at your enemies and so on. That is the gist of the game, if you are just battling your opponent I'm sure you would fight to the death which would be when all your ship frame boxes are destroyed. The other way to play is to use scenarios that have different goals than just kill your enemy. If you go to the Commander's Circle section of the Federation Commander website you can find many free scenarios to play. Some of the scenarios may require ships you do not own so they give you suggestions on other ships you can use. The makers of the game release Communiques each month that keep you up to date with the latest things coming out for the game as well as a free scenario and free new ships to use. If you have a printer there are tons of free ships on their website. If you have a passing interest in Star Trek or enjoy space combat games I cannot recommend this game more. If the difficulty of Star Fleet Battles put you off I think you should try Federation Commander. I have taught many people to play this game in a very short time. You can go to their website and download First Missions for free. It contains all the basic rules I just covered as well as a map panel to print out to use and the ship diagrams for the Federation Heavy Cruiser and the Klingon D-7. When I was interested in the game I printed it out and after trying the game out for free I purchased the Klingon Border starter set which contains the rules, 16 ships to use, many different counters for the ships and seeking weapons such as drones, and 6 heavy duty map panels. In Klingon Border you get a selection of Federation and Klingon ship cards as well as a few different races ships, a neutral freighter and the planet killer from the classic Star Trek episode The Doomsday Machine. 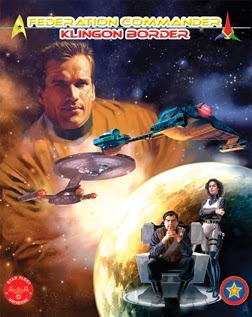 The Klingon Border starter set is a complete game and you do not need anything else to play but all the other sets have different ships from different races as well as unique scenarios. In addition to Klingon Border, there is the Romulan Border starter set that is similar but instead has Romulan ships. Both of the starter sets are similar but all the ships in the sets are different as well as the counters. If you buy one of the two and want to pick up just the ships you can buy the Klingon or Romulan Space box. After those, there are different Attack sets which contain many new ships and scenarios but they are expansions and one of the border boxes are required. The MSRP for the border boxes are $59.95 and the attack sets are $29.95. There are also booster sets you can purchase for $9.95 that contain extra ship cards to play with. Amarillo Design Bureau also releases a Captain's Log magazine bi-monthly that contains fiction, tactics, new scenarios and ship cards for all the games including Star Fleet Battles, Prime Directive RPG, Federation and Empire, Starmada, A Call To Arms and Star Fleet Battle Force card game. They also make a new line of starship miniatures that are very nice but that's for another post. Like I said if you have any interest in Federation Commander downloading First Missions will cost you nothing. At the same time I'm not trying to scare anyone away from Star Fleet Battles, granted I've never played it but since I was able to pick up Federation Commander easily I can't believe it's as hard as lots of people make out. 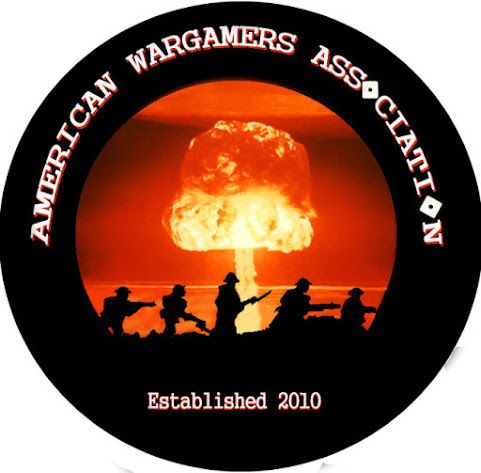 I will soon release an After Action Report based on First Mission to give you a better look at how the game plays.